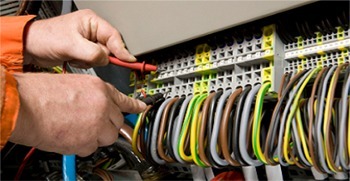 CMD Electrical provide PAT TESTING (portable appliance testing) services that enable you to comply with health and safety, insurance and site survey regulations. We offer testing and certification for emergency lighting and fire alarm systems. At CMD Electrical there is no such thing as too big. 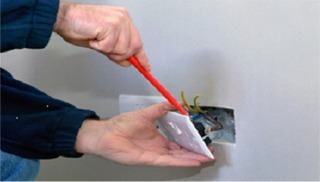 We handle, on a regular basis, some of the most intricate electrical wiring installations in the industry. No contract is too much for our engineers. Domestic contracts is where CMD Electrical started and we remain very competitive in this area today. We cater for all aspects of domestic electrical work from installing lights to complete electrical installation of a new build. 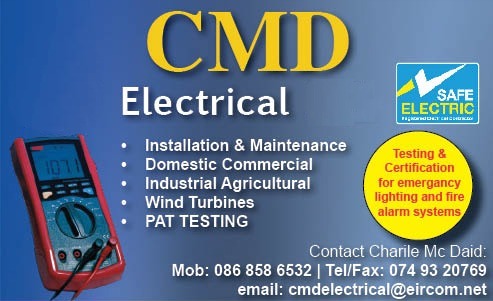 CMD Electrical have some of the most experienced renewable energy electrical engineers in Europe. Our teams have years of experience in the installation and the maintenance of wind turbine equipment by all of the leading manufacturers. SAFE ELECTRIC Commercial, Domestic, Industrial, Insulation & Maintenance. Agricultural, PAT Testing & Wind Turbines.